As Liverpool prepares to celebrate Captain Beefheart, Getintothis’ Jamie Bowman explores the eccentric genius of the legend and picks 10 tracks to showcase the brilliance of an artist like no other. A few years ago while catching the 82 bus back from town, I noticed on the side of a wall on Park Road a piece of graffiti that was rather more surreal than the normal tags. There, in four-foot high letters, someone had daubed CAPTAIN BEEFHEART. To many of the everyday folk going about their business in Toxteth, the words will have meant nothing; but to those in the know this was a very Liverpool-centric piece of art, summing up a bizarre relationship with an outsider musician that has gripped this city’s musical community for almost 50 years. 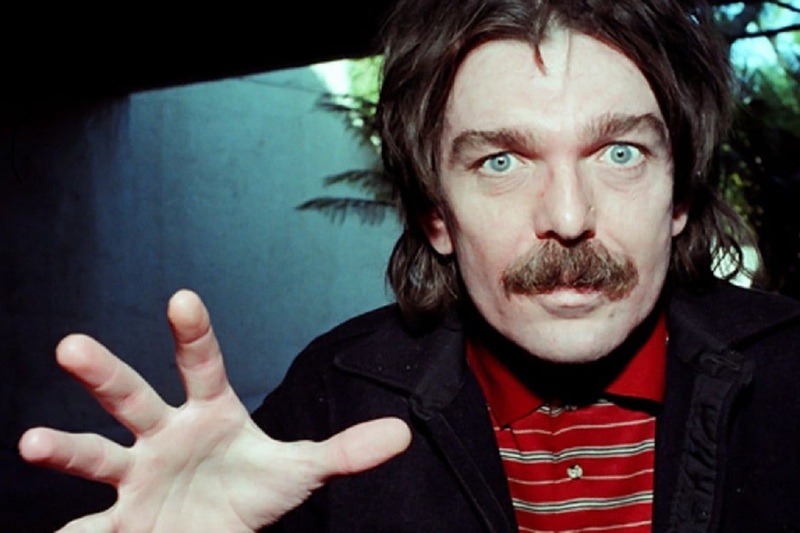 Captain Beefheart (born Don van Vliet), was a pioneering American musician who was met with devotion and confusion in equal measure. But in Liverpool, Beefheart’s mix of Delta blues, soul and avant-garde became so much more: a cult that inspired one’s sound, outlook – and even band names in the case of The Zutons and Ella Guru. Beefheart played two shows at Liverpool Stadium in the early seventies, but perhaps the defining moment of this relationship between artist and city was the decision to hold the first exhibition of his painting at Liverpool’s Bluecoat Gallery in April 1972. A film crew from Granada TV even interviewed Beefheart standing in front of his bold, black and white canvases. 45 years later, and 10 years after his death, the Bluecoat will once again resonate to those low lunar notes as Liverpool’s iconic centre for the contemporary arts becomes the focus for a weekend that rightly considers Captain Beefheart as a ‘Twentieth-century visionary’ working across music, visual art, writing and performance. Devised by independent curator Kyle Percy, working in collaboration with Chris McCabe (poet and Head Librarian, National Poetry Library, Southbank Centre, London) and Bluecoat’s Artistic Director Bryan Biggs, the programme features music, poetry, a symposium, a walking tour, a fanzine, an archival display and a student exhibition – involving artists, experts and fans. Presenting Beefheart as more than just an idiosyncratic musician of the 1960s counter-culture who gave up music to develop a career as an expressive painter, the programme will also explore his specific relationship to Liverpool, where he performed several times, and his continuing impact upon the city’s musical and creative scenes. In music terms, Friday will see Beefheart‘s former cohorts The Magic Band performing at Liverpool Philharmonic’s Music Room with musical director and drummer John ‘Drumbo’ French leading the group for one final UK tour. The following evening sees Fast N’ Bulbous: A Musical Celebration of Captain Beefheart as the Bluecoat hosts a gang of Beefheart-inspired musicians who will perform their own original music alongside reworkings of Beefheart songs, with the role call including Pale Rider, Karm, The Cubical, Psycho Comedy, Strange Collective, a.P.A.t.T, Dave McCabe (The Zutons) and Edgar Jones and the New Joneses. Captain Beefheart‘s debut single is arguably his most accessible song and gave the band a sizeable hit in their native US. A cover of Bo Diddley’s 1956 original it nonetheless showcases Van Vliet‘s trademark menacing growl to great effect with the unusual presence of a harpsichord hinting at the experimentation to come. A favourite of Liverpool’s Cosmic Scouse scene it was covered by both Tramp Attack and The Coral. Possibly Captain Beefheart‘s best known song, Electricity still turns up on Summer of Love compilations the world over where its bizarre mixture of slide guitar and theremin stands in stark contrast to the likes of the Mamas and the Papas and Scott MacKenzie. Featuring a young Ry Cooder this is the sound of bad acid hitting the Mississippi Delta and remains an extraordinary listen. Beefheart‘s debut album Safe As Milk is as good a place as any to start for the initiated because of tunes like the exhilarating Zig Zag Wanderer. Garage rock with none of the dumbness associated with their Nuggets-era contemporaries, Cooder plays a blinder but it’s drummer John French’s bizarre call and response vocals which stick in the mind. 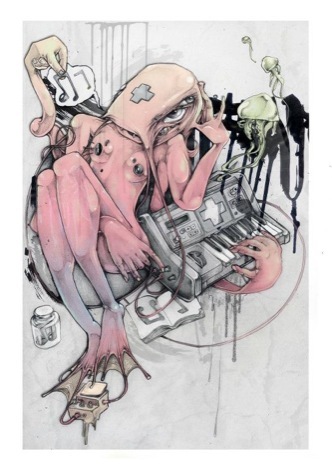 “Strawberry butterfly; strawberry fields / The winged eel slither on the heels of today’s children” . Perhaps only The Fall have rivalled Captain Beefheart for the sheer strangeness of their song titles and fittingly this ‘tribute’ to the Beatles was covered by Mark E Smith and co. Incidentally both Lennon and McCartney professed to be fans of Beefheart. You decide if the feeling was mutual. Widely regarded as Beefheart‘s masterpiece, Trout Mask Replica remains one of the touchstones of alternative music. This is possibly its finest moment as the Magic Band conjure up a wonderful stew of swamp blues and Van Vliet barks about religion, peanuts and alligators. “Mister Zoot Horn Rollo, hit that long lunar note and let it float” is possibly the quintessential moment of the Beefheart back catalogue. An extraordinary four minutes of music with breathtaking guitar interplay and drums which seem to be laying about three different songs at once. As featured memorably on the Big Lebowski soundtrack this track from the Clear Spot album is one of Beefheart‘s rare moments of clarity. A touching if surreal love song to his wife, it also features some lovely sleigh bells. The idea of Beefheart going mainstream was too much for many of his fans and even today the Bluejeans and Moonbeams album is dismissed as an ugly stain on the man’s record. It does have some champions though: Kate Bush in a Smash Hits interview considered this one of her top ten albums and Mercury Rev covered the gorgeous Observatory Crest for a BBC session in 1999. Time for a re-evaluation. Beefheart‘s last album is a wonderful swan song and the title track is vintage Magic Band. Guttural vocals, groovy boogie-blues, crashing rhythms and strange mentions of full moons, pumpkins and the desert sun. There’s even a video aimed at MTV….